Do you own Residential Leasehold Premises? Did you know that many lenders will not consider a loan for a property with 70 years or less unexpired. The Leasehold Reform (Housing and Urban Development) Act of 1993 as amended, confers upon leaseholders the right to extend the lease, subject to certain criteria. An additional 90 years is granted over and above the existing lease term. Ground rent is no longer payable. A premium is, of course, payable because of the change in the terms of the lease, and this is something that Thompson Wilson is able to assist with in terms of calculation and negotiation. It is important to try and arrange the premium to be payable before the lease has under 80 years unexpired, because the cost increases substantially, due to marriage values. 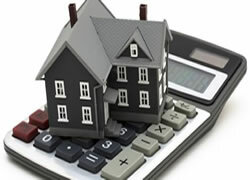 It is advisable to proceed under the Terms of the Act as this fixes the valuation date and an approximate time scale. Thompsoon Wilson strongly recommends against trying to negotiate with the Freeholder direct, especially if you are trying to sell your flat, because you will be under significant time pressure and will probably end up paying far more for extending the lease than you should. Under the aforementioned Act, again subject to conditions, a group of leaseholders are able to purchase a freehold. Again a premium is payable, but once the freehold is purchased, the new owners can grant new leases to the individuals for whatever term and on whatever conditions are agreed. "Thompson Wilson offer independent advice, valuation and negotiation services to Residential Leasehold owners."